Following the monthly union meeting of IAFF Local 141, members re-convened at Mackinaw's Food and Spirits to follow through on a yearlong endeavor of merging various IAFF local unions. Union leaders from Allouez Locals 2477 and 4226 and DePere Local 1998 along with those from Local 141 signed a merger agreement that will significantly change the union fire fighter landscape for years to come. The agreement specifically brings together the 4 locals under the umbrella and current leadership of Local 141. It also brings into the fold all the talents, creativity, and assets of the locals so that together, we all become stronger with a single, unified voice. Within the next month, the ASIA (Austin Straubel International Airport) fire fighters may also be merging with Local 141. That approval will come from the members following a referendum ballot in early March. Before any merger is completely final, each individual merger will be debated and voted on by the Executive Board of the IAFF. Following the approval of the IAFF and the revocation of their charter, they would officially become members of IAFF Local 141. The IAFF has announced the winners of the 2008 IAFF Media Awards. WFRV-TV reporter Tammy Elliot and photojournalist Mike Vandersnick received the 1st place award in the "Television News Feature or Documentary" category. Their feature, Fire Fighters: At Work, At Risk, explained how the fire department and the City of Green Bay addressed the emotional and physical needs of Green Bay's fire fighters 6 months after the death of Lt. Arnie Wolff. 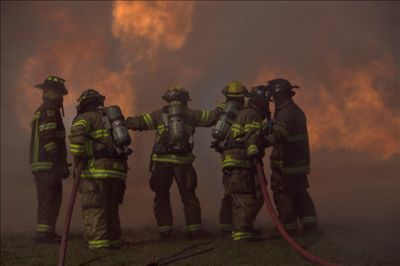 The contest, conducted annually, honors reporting and photography that best portray the professional and dangerous work of fire fighters in the United States and Canada. In addition, these awards recognize outstanding work by IAFF affiliates in communicating with their members and generating public awareness for fire fighters in their respective communities. The winning entry submitted by IAFF Local 141 was one of 277 entered into this year's contest. In an act of generosity not seen before, the 2011 Recruit Class of the Green Bay Fire Department made a donation of $500 towards the annual up-dating and maintenance of the Green Bay Fire Fighter Tribute Foundation. As a component of the recruit's Training Academy, they were challenged by Training Division Captain Tony Piontek, to learn something about the city and to undertake a community endeavor within the City of Green Bay. 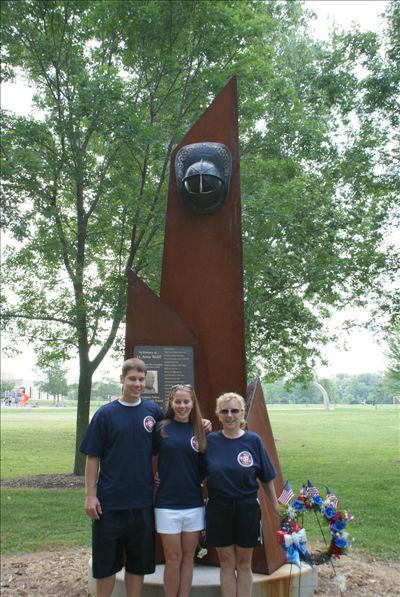 After learning of the Tribute, the class decided to make a monetary donation to the Tribute and to assist in the annual maintenance and clean-up and to assist in the installation of the 2011 bricks. The donation was made to a representative of the Tribute Foundation during the graduation ceremony. Members of the recruit class include Gerald Cravillion, Trevor Sorge, Chad Pfeffer, Dustin Quilling, Adam Tomasko, Brian Norton, Kyle Komorowski, Matthew Spangler, and Shane Hanson. A plaque acknowledging their generosity will be presented to them and displayed at GBFD Station #1. 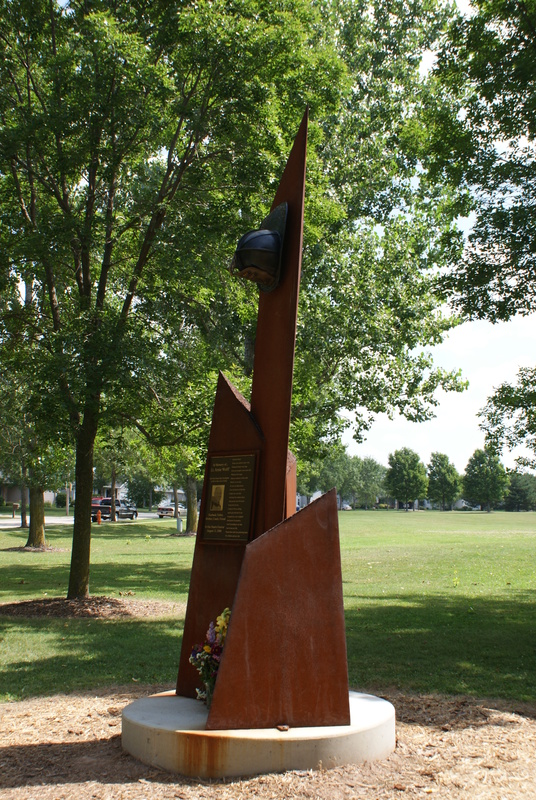 The Tribute is located adjacent to the Neville Public Museum near the Fox River on Green Bay's near West Side. 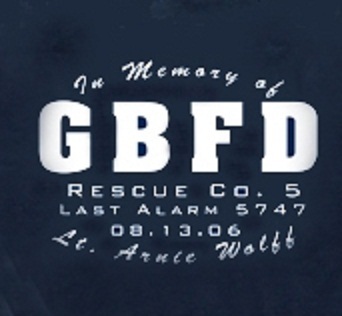 Tax-deductible donations can be sent to the Green Bay Fire Fighter Tribute, 1570 Elizabeth St., Green Bay, WI 54302. 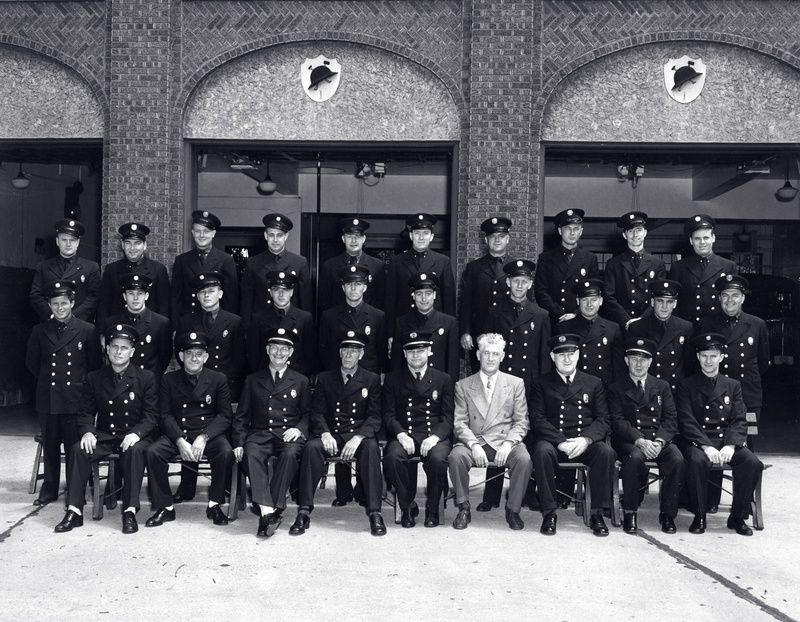 The Green Bay Fire Fighter Tribute Foundation has available for purchase photo reprints of members of the Green Bay Fire Department from the early 1950's. Each photo is an 8x10 black and white suitable for framing. A listing of all members in the photos is included. Cost for each photo is $5.00 + s/h of $5.00 if mailing is required. Please send your order with remittance to: Green Bay Fire Fighter Tribute, 1570 Elizabeth St., Green Bay, WI 54302 Questions can be answered by calling 920-430-1448. All proceeds will be directed to the Green Bay Fire Fighter Tribute located on the banks of the Fox River near the Neville Public Museum. If you wish to order only a single photo, be sure to designate which photo you prefer. On Tuesday, November 9th, the addition of 47 new bricks at the Green Bay Fire Fighter Tribute took place bringing the total number of individuals curren tly recognized at teh Tribute to over 450. Included in those numbers are the most recent individuals who have left the Green Bay Fire Department since 2009. Those individuals include Captains Mark Schroeder, Dave Parmentier, and Tim Johnson, Division Chief Dan Gunn, Fire Fighters Eric Rasmussen and Melissa Jones, Mechanic Rich Neuses, and Administrative Assistant Shona Klarkowski. From the early 1900's (pre-1920) are Fire Chief Henry Faulkner, Captain Gustave Janquart, Engineers Gus Kemps, Charles Cravillion, Victor "V.J." Cravilion, and James "JJ" Mullen. From the 1920's, research turned up the following; Deputy Chief Goldie Nellis, Captains Howard Anderson, Frank Hayda, George Sharp, Jules Simon, Clarence Steeno, Frank Weber, Edward Vanark, and Nick Herlache. Lieutenants from that period include Norman Dupont and Sam Aebischer while Engineers were Henry Bitters, Daniel Donovan, William Haase, and Otto Igl. Fire fighters recognized from the 1930's were Captains Chester Barlament and Edward Kassner and Lieutenant Clarance Shaha. 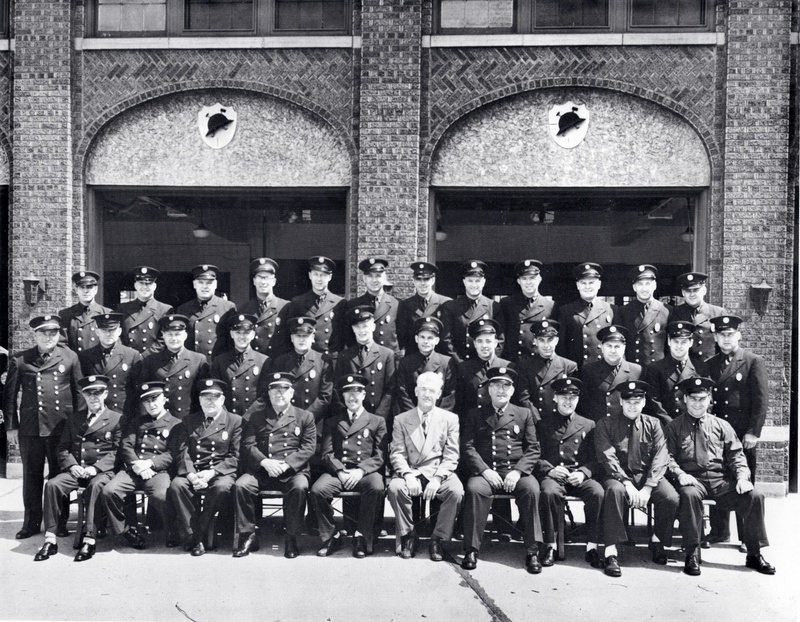 Post-1930, which might be considered the modern era of fire fighting, brought recognition to the following; Captain Milan Kraus, Lieutenant Bernard Oskey, Engineers William Zehms, Patrick "Stix" Maloney, Donald Buth and Fire fighters Myron "Mike" Pickett, John Devroy and Ben Bohachek. Also included are fire fighters who served during the very early years that the GBFD existed. Those individuals that are part of this current addition are John Fannin from the Guardian Fire Company, A.C. Lehman, Sam Lindley, Chas. Photenhauer, Konrad Silbersdorf, John Kittner, and Edward Kittner from the Enterprise Fire Company, and Anton Remich from the Washington Hook and Ladder Company. The Green Bay Fire Fighter Tribute is a 501 c. 3. non-profit organization with all donations being fully tax- deductible according to the IRS. Donations are gladly accepted and can be mailed to GBFF Tribute, 1570 Elizabeth St., Green Bay, WI 54302. New Photos Posted, Propane Training. New photos of B-Shift training at the Propane emergency scenarios have been posted into the photo gallery. 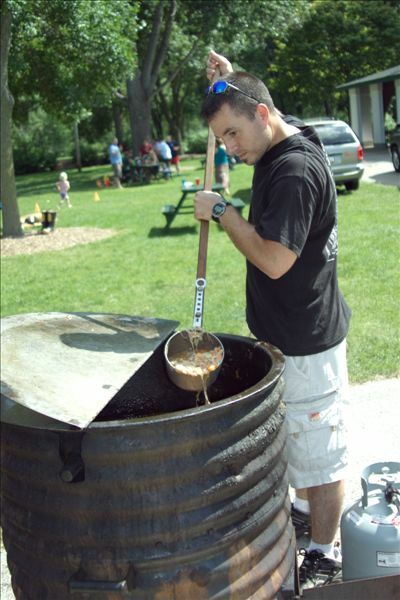 Pictures of the 2010 GBFD Picnic have been added to the photo section. Thanks again to all involved in organizing and putting on this event! Green Bay Fire Hockey Takes 2nd in Hockey Tournament! Update to the Photo Gallery. The Austin Straubel International Airport Fire Fighters are the newest to join the pride of the IAFF. WELCOME ABOARD! Also included are photos from a night of celebration and fellowship as Allouez, Allouez Captain’s, De Pere, and Green Bay’s locals all join into Local 141.